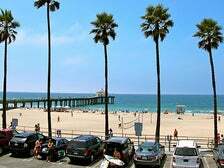 Renowned for some of the best surfing waves in Southern California and regarded as the birthplace of beach volleyball, Manhattan Beach is a real-deal beach community. 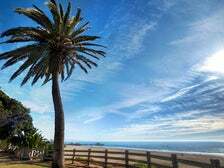 Naturally a day in Manhattan Beach can easily be enjoyed by strolling along The Strand, setting up camp on the white sand and spending hours in the water. But with great shops, restaurants and activities peppered along Manhattan Beach Boulevard, there is so much more to explore on foot. Many Angelenos prefer Manhattan Beach because it's usually less crowded than other local beaches. Come for the day or stay for the weekend - Manhattan Beach is the ideal destination for an accessible beach getaway. Read on for our walking guide to Manhattan Beach. 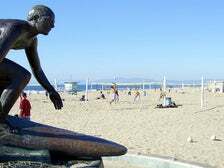 Hermosa Beach is located in the heart of the South Bay area of Los Angeles. Situated between Manhattan Beach and Redondo Beach, Hermosa is on the southern end of the 22-mile Marvin Braude Bike Trail, aka The Strand. Besides oceanfront biking, there are many activities that make Hermosa a prime beach destination, including beach volleyball, surfing, paddle boarding and sandcastle building. The hub of the action in Hermosa is centered on Pier Avenue, filled with notable restaurants, coastal-cool shops and fun bars. Read our guide to discover all the great places that make Hermosa Beach special. 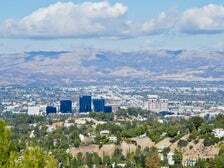 The North Valley is just as its name implies, the northern part of the San Fernando Valley, and includes neighborhoods stretching from Chatsworth to Tujunga, Van Nuys to Sylmar, Granada Hills to Shadow Hills, and everything in between. Often referred to as the “Deep Valley,” there are some great restaurants, shops, and even places to hike. Check out our list below of some of the best things to do and try in the North Valley of Los Angeles. Brentwood is one of L.A.'s most affluent neighborhoods, located on the Westside between Westwood and Santa Monica. Brentwood began as a Mexican land grant ranch sold off by the Sepulveda family. Its modern development started in the 1880s and today it boasts one of the lowest population densities in the city, with lush green pastures and coral trees along its main thoroughfare, San Vicente Boulevard. Read on for a guide to the area's essential stops, and get up close and personal with one of the Westside's most beautiful neighborhoods. Woodland Hills is an upscale neighborhood located on the edge of the Santa Monica Mountains in the San Fernando Valley of northern Los Angeles. 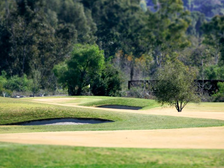 Woodland Hills is bordered by Calabasas, Tarzana, Topanga and is a short hop from the famous beaches of Malibu. It's lush, green and a great place to hike, bike, enjoy nature and update your wardrobe. Whether your interest is shopping or the outdoors, Woodland Hills has activities and attractions that can provide a fun, entertaining experience. 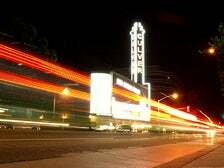 On Ventura Boulevard there are lively bars and gastropubs with delicious food and live music, making Woodland Hills a unique, vibrant destination in the Valley. L.A. is one of the top spots to visit on spring break. Learn everything you need to know about planning an awesome spring break vacation. Even though the San Fernando Valley is known as one of L.A.’s largest regions, there are local neighborhoods that are easily navigated and pedestrian friendly. The historic and upscale neighborhood of Sherman Oaks is one of those areas, especially along Ventura Boulevard, which one can explore on foot. 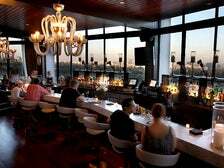 Many of L.A.’s favorite restaurants and stores have Valley locations in Sherman Oaks, which is just “over the hill” from Bel-Air and Beverly Hills. Though it’s nice to come across familiar brands, there are numerous local gems that make Sherman Oaks truly a delight to explore on foot. The "Stadium to the Sea" course of the 2016 Skechers Performance Los Angeles Marathon will take runners through iconic Los Angeles neighborhoods adjacent to some of the most well-known landmarks and attractions in Los Angeles. The Skechers Performance Los Angeles Marathon will be held on Sunday, February 14, 2016. The 26-mile course has several course markers, including Hollywood, Rodeo Drive and the Walt Disney Concert Hall. 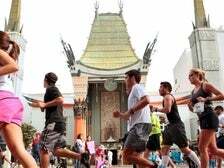 Runners who are visiting Los Angeles can have the opportunity to visit some great sites once the race is over. Each course marker is near a great location for sightseeing, shopping and entertainment. Here are the most popular sites next to course markers of the Skechers Los Angeles Marathon. For more information about the marathon, read our guide to the 2016 Skechers Performance Los Angeles Marathon. Hollywood Boulevard is a Los Angeles cultural icon, with museums, landmarks and other Hollywood attractions that celebrate L.A.’s rich film and entertainment heritage. 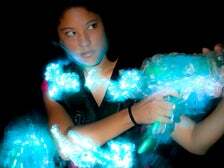 so There are so many things to do in Hollywood, California! You can see the footprints of the stars at the TCL Chinese Theatre, gaze down at the stars on the Hollywood Walk of Fame, do some serious shopping at Hollywood & Highland, or visit the famous Hollywood Wax Museum. Along its stretch from Highland Avenue to Orange Drive, you can find a day’s worth of activities that will give you a true Hollywood experience. You never know who you'll run into! Arnold Schwarzenegger recently shocked fans by making an appearance at Madame Tussauds Hollywood. Watch what happened below.